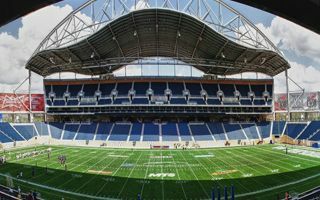 Investors Group Field opened its doors in May 2013 and has since caused even more controversy than during the delayed and overpriced construction process. According to financial statements filed by the University of Manitoba, as quoted by CBC.ca, the first phase of interest and principal debt for the project actually rose by $8.275 million between 2014 and 2015. The total debt now sits at just over $186 million. The two-year-old stadium is now in the midst of massive repairs to its drainage systems and the concrete on its concourses. The province has approved $35.3 million in loan guarantees for Triple B to do the repairs. That's on top of an additional $4.7 million already spent attempting to fix leaks. Triple B has sued general contractor, Stuart Olson Ltd, and the designer of the building, architect Ray Wan, for their work on the project. Both parties have launched counter-claims in court.